Save $500 on our Kingdom of the Monarchs Trip! Observe the amazing migration of 300 million monarch butterflies in the highlands of Mexico, and take advantage of our “2010 Economic Climate Change Stimulus Plan” while you’re at it! Our Kingdom of the Monarchs adventure takes you to the ancestral wintering grounds of these fascinating creatures, located in the volcanic mountains of central Mexico. However, their forest sanctuary is under constant threat from illegal logging, and your support – through responsible tourism – can help protect this habitat. As part of our 2010 Economic Climate Change Stimulus Plan, we would like to extend a $500 Conservation Credit to you as an incentive to travel to this magnificent place and help support conservation efforts. 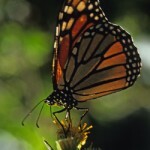 This offer applies to our Jan. 10-15 and Jan. 18-23, 2010, Kingdom of the Monarchs trip departure dates. Click here to read all about this incredible adventure and call one of our Adventure Specialists today at 1-800-543-8917 to secure your space – and your $500 Conservation Credit! * Note: This offer cannot be combined with any other offer or discount. The best thing in life is for free………………. You can find all our contact information in the blog post. The best way to find out more about this specific trip is to call our office and speak with an Adventure Specialist at 1-800-543-8917. Thanks! Due to safety requirements, our minimum age for the Monarchs trip is 8 years old. However, one of our Adventure Specialists can tell you more about the possibilities of traveling with a younger child on our trips. Feel free to give us a call at: 1-800-543-8917. Thanks! My daughter is 4 years old. Is she too young for us to take her with us. She is very well behaved, smart and well traveled. She loves insects and is nature conscience. She would love this. What is the minimum suggested age for this trip? Hi Dinah — There are several ways you can be in touch with Natural Habitat Adventures. You can use the contact link in the top navigation, click on the links in the blog post or call our toll free number, which is listed in the blog post as well. I want to visit the monarch butterflies with natural habitat –but I don’t see either a telephone number or even an e-msil number to contact NH. Very frustrating . Why no way to contact you? Seems a bit unprofessional . 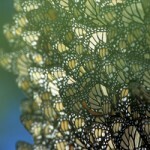 Your post brought back memories for me — the Monarch migration is incredible!